Rally with the beast ghoulfriends of Frankie Stein around this two-in-one recharge station to give her back her spark! 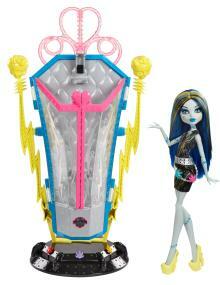 The included one-of-a-kind Frankie Stein doll wears a voltageous fashion with shocking shoes! Place her in the chamber and press the button for hair-raising fun - her hair literally rises into a shocking 'do! Frankie Stein has lost her spark! But her beast friends forever are rallying to give her a helping claw and get her recharged. The Freaky Fusion Recharge Chamber recreates the monsterriffic moment when the Daughter of Frankenstein is recharged and allows ghouls to capture the creepy cool scene! With a voltageous Frankie Stein doll included, the fun bolts right out of the box! Rally with the beast ghoulfriends to save Frankie with this two-in-one recharge station! Frankie's hair literally rises into a shocking ‘do! The effect is totally spooktacular and definitely delivers a charge! Feeling much more frightful, Frankie Stein can head back to the howlways of Monster High looking as voltageous as the day she was made. A sleek dress with an electric print in her signature colors amps up the energy. To-die-for accessories include a silvery chain belt and yellow platforms with lightning bolt heels and cut-outs that really amp up the energy. Use the included brush to keep the exclusive look 'stitched up'. Once the story is played out, the chamber performs double duty as clawesome room decor! Press the Skullette button a second time to activate an uhhmazing light show so ghouls can relax and recharge too! 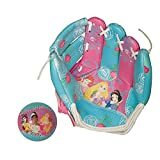 Collect other Monster High dolls and accessories to expand the storytelling fun to horrific proportions (each sold separately). 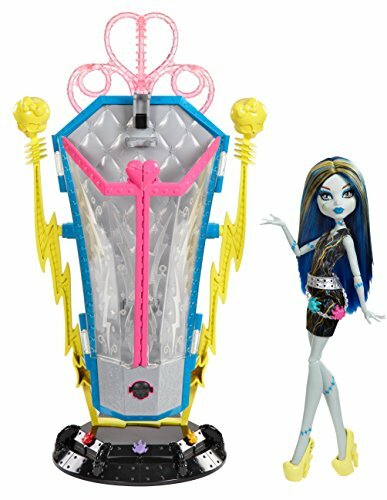 The Recharge Chamber is intended for use with the doll included; not all Monster High dolls can function with the product. Press the button on her chamber for some hair-raising fun! 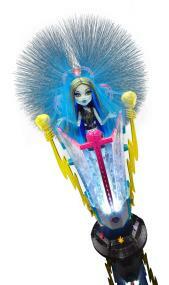 Recharge Chamber/lamp, exclusive Frankie Stein doll wearing fashion and accessories, hairbrush.